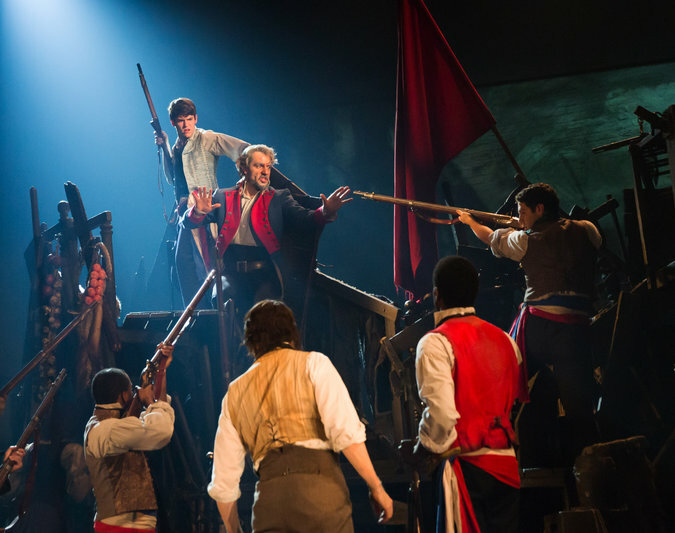 Les Miserables is back, and to no one’s surprise, it’s STILL worth seeing! The first revival of the musical since the Academy Award-winning film graced the big screen, this version, adapted by Alain Boublil and Claude-Michel Schonberg, showcases a grittier, smokier, gloomier France, somewhat improving on aesthetics employed in the film. Amidst the doom and despair, though, is joy. The acting is on and the singing is even better — Ramin Karimloo is an astounding Jean Valjean and delivers one of the many performances that will call you back to the Imperial Theatre for another trip to the French Revolution. You’ve seen it before, but that doesn’t make the tale any less heart wrenching. If you liked seeing “Les Miz” before, you’re definitely going to like seeing it again now.